Cars. Most people have been in one. Some even own one. Unless it’s electric, chances are it runs on fuel. Fuel is expensive, if you haven’t noticed, and is quite toxic for the environment. There are quite a few ways to save money on fuel, here are some of the more effective methods. To start off, your car is a highly engineered piece of equipment with tight tolerances. If everything is not in working condition, it’ll wear out prematurely and burn a lot more fuel. It’s not difficult to get right. Stay on top of tyre pressures, mechanical soundness and, of course, oil quality. Keep your car clean and keep your paint in good condition. This will improve aerodynamics and save you money, while making your car look beautiful. On a similar note, keep body panels in one piece. All this will save you a lot of money in the long run in unexpected repairs and of course in fuel savings. Moving on, make your car work less. For every kilo of extra weight your car needs to lug around, you burn proportionally more fuel. This extra weight can come from anywhere. Luggage you forgot from your previous trip, canisters of supplies for any eventuality, food, books, trash, and dirt on bodywork. Even dirt and junk inside the cabin, such as extra seats, interior trim, spare wheels and anything that is not essential to the functioning of the car, but let’s not get too extreme. All of this increases the amount of fuel you burn, not to mention makes the car more difficult to handle and prematurely wears out tyres and brakes. This isn’t hard to understand if you recall your 10th grade science classes. A body with more mass needs more energy to accelerate and maintain momentum as there is more kinetic energy involved, thus more fuel burned. Furthermore, the car you use makes a big difference. A larger car will burn more fuel than a compact car, and same goes for the engine. The smaller the car and the engine, the better the fuel economy. As a rule of thumb, the best cars that are a good compromise of efficiency and functionality are cars like Honda Civics and Accords, as well as Toyota Camrys and Corollas, with naturally aspirated engines, although this is more of a guideline rather than gospel. Furthermore, the car you use makes a big difference too. A larger car will burn more fuel than a compact car, and same goes for the engine. If you have a big and heavy 4×4 with a massive 5.0L V8 turbo, it will burn significantly more fuel than a much smaller compact car with a 1.5 4L DOHC. Your engine options are naturally aspirated, turbo charged, hybrid, diesel, supercharged, or a combination. Each one of them has their advantages. For example, diesel has more torque while turbos giving you a lot of power with a tiny displacement engine. Note that the higher the pressures in the engine, such as in a turbo, the higher grade fuel you will need and the more it will cost to run. This is caused by something called knocking, which damages your engine and ruins your mileage. As a guideline, the smaller the car and the engine, the better the fuel economy. Keep in mind that you will lose functionality. A good compromise would be a 1.9-2.4 L naturally aspirated engine. More high performance engines would need a more expensive fuel grade, but that is up to you. If you are not familiar with automotive terminology, the most efficient engines would be found in cars like Honda Civics and Accords, as well as Toyota Camrys and Corollas. Similarly, you will generally find better fuel economy driving a manual transmission as opposed to automatics. They have better mechanical efficiency in addition to being lighter and less expensive. There is also the added benefit of being more affordable than automatics and costing a lot less to repair. Keep in mind that the specification of your car will influence efficiency. 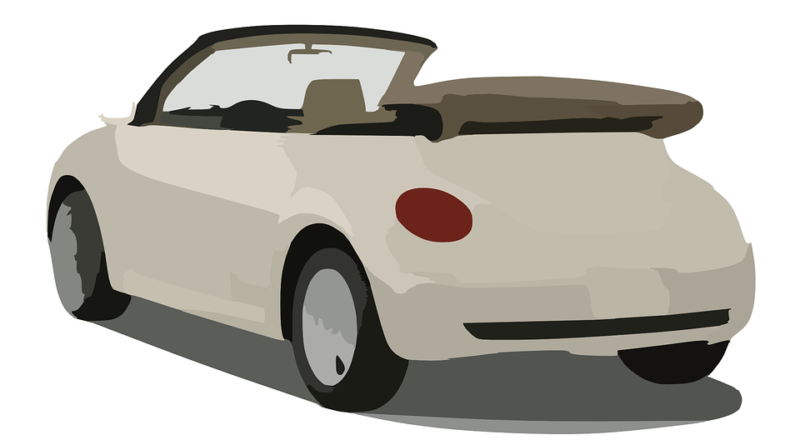 Coupes are often lighter than sedans, and hatchbacks are often more aerodynamic. Wider tyres will give you more grip and will allow you to maintain momentum safely through corners, but will increase rolling resistance. Opt for better rolling tyres as these will save you a ton on fuel. If you have the option, choose a neutral setting spoiler. This will improve drag in many cases whilst reducing lift, making your car safer. Seats are heavy, so try to go for non-heated seats as they will be lighter. If you can, get lighter wheels with a flatter rim surface to reduce turbulence in this area. Remove all accessories on the exterior, drive with all your windows closed as much as possible and run without A/C when you can, to reduce consumption. A newer car will be designed to improve efficiency, aerodynamics and simply drive better than older cars. They have advanced power steering systems that are leagues more efficient than older cars. Advanced drive systems send power as efficiently as possible. Some even have efficient turbos that actually burn a lot less fuel than N/As. Keep in mind that this will probably be a more expensive route to take as new cars cost a lot more. In light of better efficiency, probably the biggest influencer in fuel economy is driving style. It is the driver who chooses what the car does. In short, be smooth and progressive with all your inputs, try and maintain momentum and don’t use more fuel than you need. For example, you are approaching a red light while at the speed limit, and yes that is the most efficient way to do it. When you are 250m away, lift off the throttle, maybe put the car in neutral in a manual, and coast until a safe braking point. Gently brake as to not cause a sudden jerk. Once the green light is given, gently get on the power and try to keep your RPMs as low as possible, or even short-shift if in a manual. There also is a more likely chance of you actually reaching a green light when arriving to the intersection, actually making you faster than if you just accelerated until the stop and had to regain all your lost speed. This will lead to massive gains of efficiency regardless of the vehicle as you won’t be uselessly burning fuel and actually maintaining momentum. Slowing down, and braking especially, eliminates momentum and ruins your mileage. Keep in mind you should always drive safely. In short, efficiency is up to you. You choose how much fuel your car can and will use as you are the driver. Drive wisely.